Crafts actually keeps the glitter just where you want it. 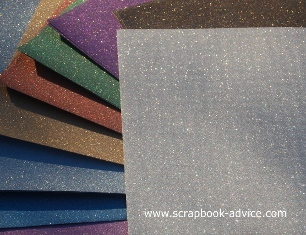 glitter to fall out of the envelope with your finished product. the flexibility of the paper. does allow a strong adhesive or a liquid adhesive to hold it. to attach to other backgrounds. 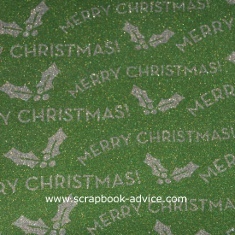 a double pass through the die cut machines just to be on the safe side. 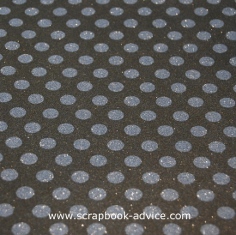 to sharpen or waxed paper will help to smooth the cutting edges. Only time will tell here, but it's so beautiful, it's worth it! color and design, they were less than $1.90 each. 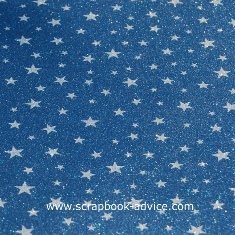 To Purchase your Pow Glitter Paper from Scrapbook.com click here, or click on any graphic you see below to take you directly to Scrapbook.com. Marine & Pacific Blues, Apricot & Charcoal. 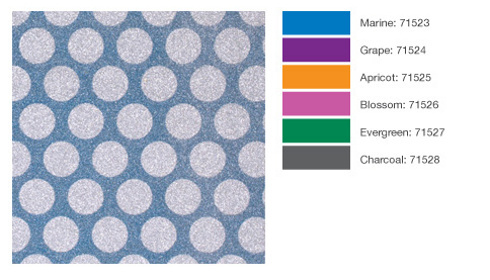 Small Circles, and Stripes - each pattern in 6 colors. 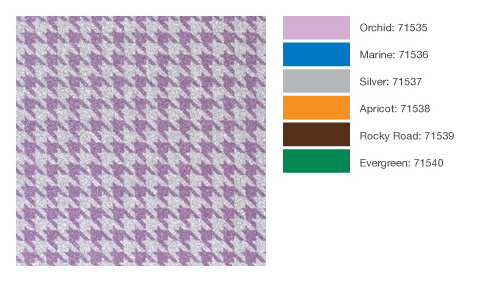 Marine, Silver, Apricot, Rocky Road & Evergreen. 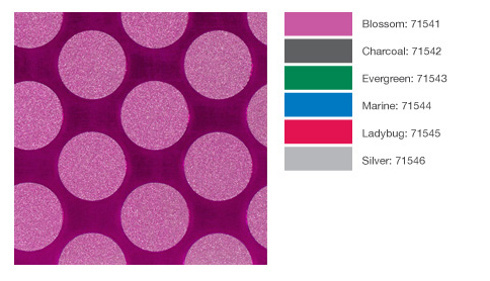 of Blossom, Charcoal, Evergreen, Marine, Ladybug & Silver. Grape, Apricot, Blossom, Evergreen & Charcoal. Silver, Rocky Road, Caramel & Moss. 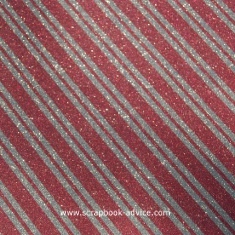 to get so me of the glitter to show. Hopefully, you can see it in these shots. When I first saw these, I thought these have got to be my favorites. Makes me want to eat Peppermint Candy. 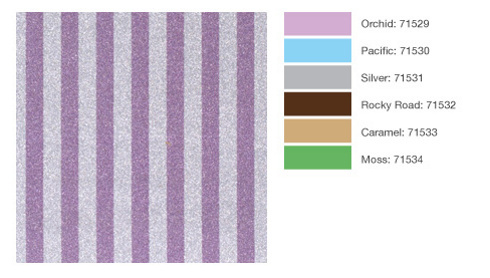 These are named Rouge Candy and Rouge Stripes. Then I saw the Denim Snowflakes and Denim Stars. 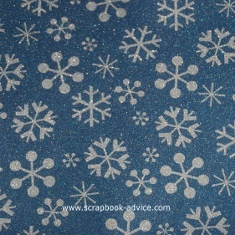 What Great papers to use for any Snow photos or photos at night. Maybe these are my new favorites. Well, more new favorites. With the Gold Damask and Gold Dots. 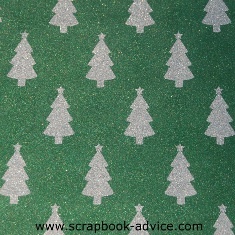 I am thinking great papers for a Holiday Party or to show off photos of the Christmas Decorations. 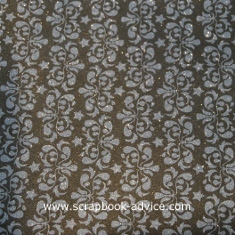 I sure like these papers for my Cards and Invitations. Too many favorites! They are called Evergreen Trees and Moss Merry. 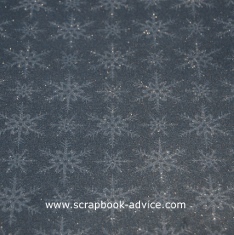 On the left we have Silver Snowflakes and on the right Silver Flourishes. I am so ready to do my Holiday scrapbooking. New favorites? Yep! These two are called Powder Snowmen and Powder Mittens. And here is a photo of the Assorted Colors that just arrived along with the Holiday Collections. 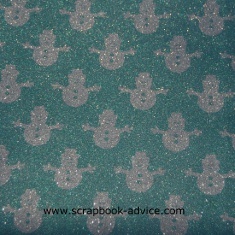 To purchase your POW Glitter Papers, check out the store below. 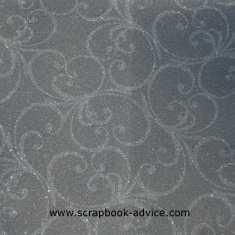 Check out our Scrapbook Tutorials page. 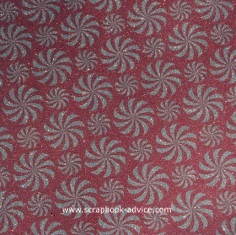 Go Back to Home Page from the POW Glitter Paper review.